When Chromebooks launched in the summer of 2011, they seemed destined to fail, much like the underpowered, internet-dependent netbooks that came before them. But in the five years since, Chromebooks have defied expectations, even outselling Macs for the first time this year. Still, people complain about their inability to run useful software. Now, that’s all about to change. 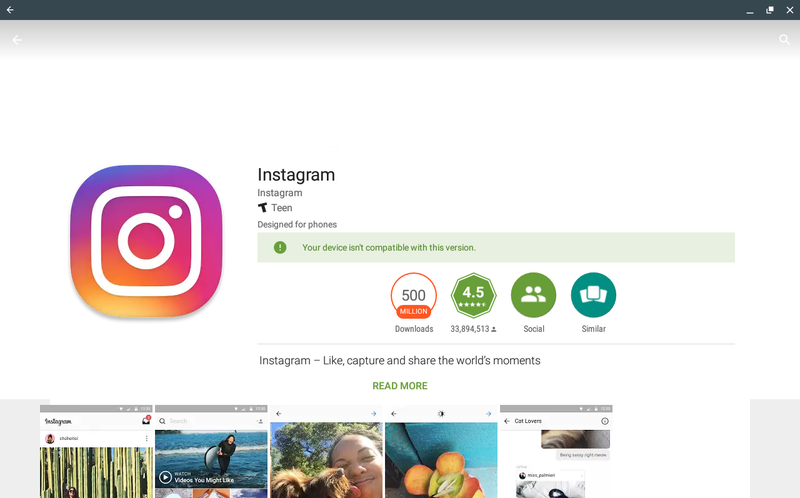 In the latest version of Chrome OS (53), one million Android apps are now available for Chromebooks through the Google Play store. After a brief software update, you’ll be able to install to almost any Android app on the market, dramatically changing what your Chromebook is capable of doing. For now, the update is only available on ASUS’s Chromebook Flip and will soon be on Google’s Pixel (2015) and Acer’s Chromebook R11 with more coming. Eager to try the feature, I dusted off our Chromebook Flip and used it for a couple of days. Obviously. the new software is in the early stages of roll out right now, but even after spending just a few days with the beta, I can safely say that the finished version will be a sea change for Chromebooks, with the potential to transform them from the limited devices they are into full-fledged computing machines. 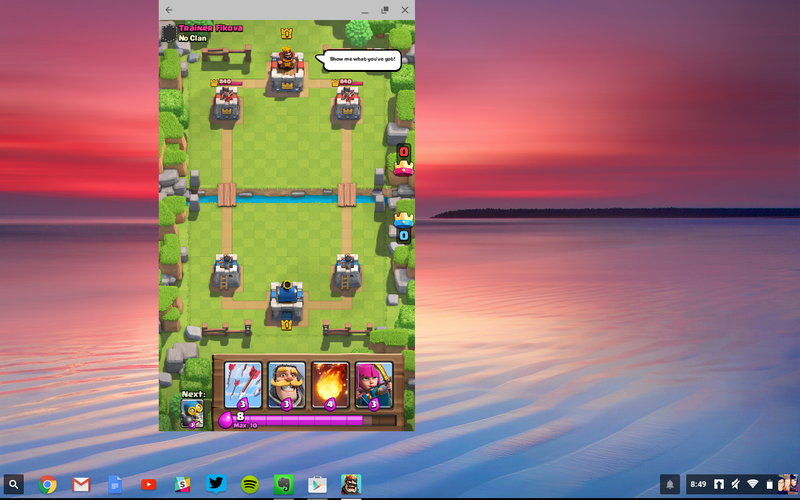 Here’s what it’s like to use the Chrome OS supercharged with Android Apps. Updating my Chromebook was pretty easy. I browsed through the settings, switched my device to the Chrome developer channel, and installed update 53 within a few minutes. After a quick reboot, there it was just sitting in my shelf— the Google Play store. All these are hardware limitations, so if you’re patiently waiting for Android apps to arrive on your older Chromebook, don’t expect to see them anytime soon. But these problems might not be as permanent as you’d think. Google announced during its developer conference in May that future Chromebooks, specifically ones from Samsung, will come with the hardware necessary to take advantage of these apps. But for now, you’ll find that a handful of apps won’t work. Of course, other issues come up as well. Most of these machines are not designed to download and store apps for offline use, so some Chromebooks might be severely limited when it comes to storage space. It’s also important to note that many older devices have no means of memory expansion like an Android phone. This will likely change with the next new crop of Chromebooks. While some of your favourite photo apps might be missing, Chrome 53 has plenty stuff worth downloading. Granted, I didn’t try out a million apps to see how they performed on Chrome, but most apps I used ran without any major issue. This is because Android is actually running in a separate container on ChromeOS, not through emulation, so the experience is remarkably smooth. All apps have a windowed and fullscreen version with no resizing options, likely because app makers never had to worry about it. And you can still see some growing pains, like the fact that the app drawer doesn’t disappear when you enter fullscreen mode. Luckily, you can just set the taskbar to autohide. Most Android apps on Chrome OS certainly look like normal desktop applications; they don’t act that way just yet. These are, after all, Android apps. For some apps, it doesn’t really matter. 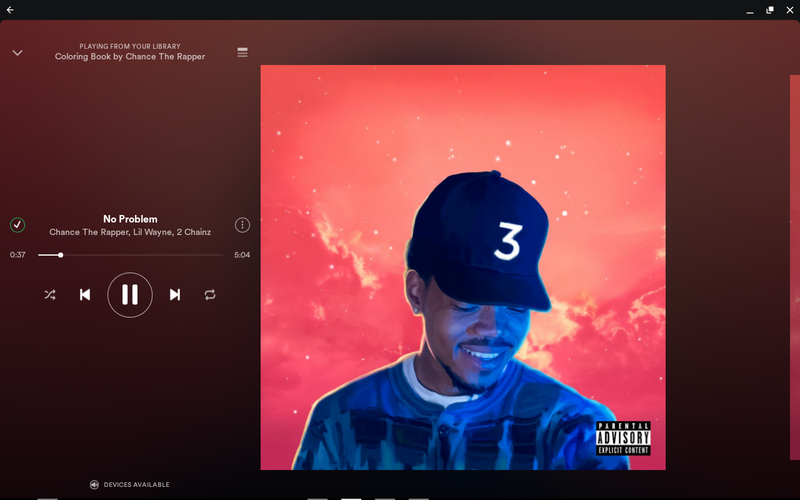 Spotify, for example, will use the mobile app’s horizontal landscape design when running on a Chromebook. It’s maybe not quite as intuitively laid out as its its standard desktop app, but certainly usable and can save songs for offline use. Nice. On other apps, weird, unexpected stuff can happen. 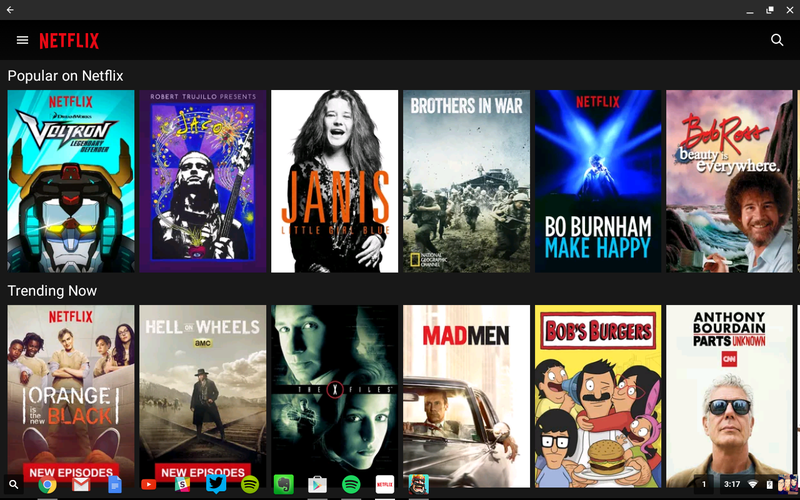 The one thing I noticed on the Netflix app was that it wouldn’t continue running the background if I switch over to another app. This is probably because Android doesn’t have multi-window support yet (though it is coming with Android N later this year), and there’s really no reason for an app to keep playing in the background like it would on a normal desktop. So as soon as I clicked out of Orange Is The New Black over the weekend to send a quick email, Netflix immediately stopped. Obviously, Google and other developers will have to implement new multitasking features in order to make things run more smoothly. It’s also worth mentioning that with apps like Spotify, which have been designed to run in the background, it wasn’t an issue. So in some cases, it’s worth sticking with the web version of a certain app if you can. As for serious work, Chromebooks are about as useful as an Android tablet in terms of app availability, so you’re using mobile versions of Photoshop instead of a full-fledged desktop app. But the Google Play Store does fill in some necessary gaps, with apps like Trello and Feedly, for helping me to get work done. You can now download Office as well and use offline, which is a big help. Compared to some of Google’s more tepid attempts at making Android work-friendly, Chromebooks running Android is a step in the right direction. The most obvious benefit of the Google Play store running on ChromeOS are the games that come with it. Of course, the Chrome Web Store had some games, but they were nothing compared to the ones on Android. Since many popular games, like Hearthstone for example, don’t have desktop clients, these apps have been almost completely closed off to Chromebook and even most desktops for that matter. 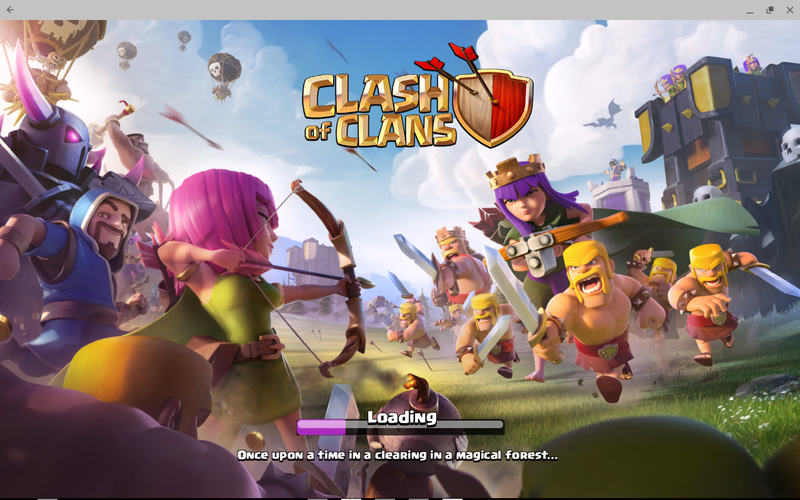 Yes, that means you can now play Clash of Clans (without any emulators) on a laptop. It works! But at this point, just use your phone. But it’s not all good news when it comes to gaming on a Chromebook. Some games have fixed perspectives, either horizontal or vertical. Any games in the latter category get super weird on a horizontal display. For specific Chromebooks like the Flip, the problem is less of an issue because it can basically turn into a tablet because of its 360-degree hinge. Almost every other Chromebook cannot. For now, if you’re trying to play a vertical mobile game, my best advice would be don’t. Android apps on Chrome OS are far from polished. There’s a lot of work that both Google and the developers need to do in order to make it usable for most people. For porting such a massive amount of apps over from one platform to another, though, the experience is surprisingly good. Right now, all major gadget companies are trying to take tablet computing to the next level. Microsoft thinks it’s onto something with the Surface. Apple’s trying to turn its iPad into a laptop replacement, and this could very well be Google’s most competitive version of a productivity tablet. The launch of Chrome 53 doesn’t mean the end of all Android tablets, but it could be the beginning of a kind of Chromebook we’ve never seen before.